About 300 people attended the Cannabis Career Institute's workshop in South Florida. The Cannabis Career Institute came to South Florida Saturday. Medical marijuana won't be a legal possibility in Florida until after November, but the CEO of the Cannabis Career Institute thinks right now is the perfect time to educate entrepreneurs. "We anticipate you passing some kind of medical marijuana program here in Florida and we want everybody to be prepared and have that information so that they don't make any mistakes," said Robert Calkin, CCI's president and founder. The California-based institute held a daylong workshop in Miami for people interested in opening a cannabis business. Attendees paid $299 dollars to hear from Calkin and other experts who have traveled across the country doing these seminars. Medical marijuana won't be a legal possibility in Florida until after November, but the CEO of the Cannabis Career Institute thinks right now is the perfect time to educate entrepreneurs. NBC 6's Laura Rodriguez has the story. "We're showing people how to create their own business plan, how to get an action team put together, make yourself attractive to the people who are deciding who the dispensaries are going to be given to and or create a cultivation center," Calkin said. Legal and medical experts also took part in the seminar. The question to legalize marijuana will officially be on the ballot this November. Now it's up to the voters to decide whether or not Florida will join 20 other states and D.C. in legalizing medical marijuana. NBC 6's Keith Jones takes a look at how three families have taken advantage of medical marijuana. "I'm confident there will be a need for attorneys who specialize in this area. For instance, when the licenses come out there's going to be an entire protocol and process for you to be able to get those licenses. I'm encouraging people to do everything with the assistance of counsel," said attorney Ivette G. Petkovich. Javier Gomez attended the seminar and currently works in the medical marijuana business in California. Gomez hopes to open a company in Miami. Days after the Florida Supreme Court approved the medical marijuana initiative for the November ballot, a cannabis career and cultivation seminar is coming to Miami. 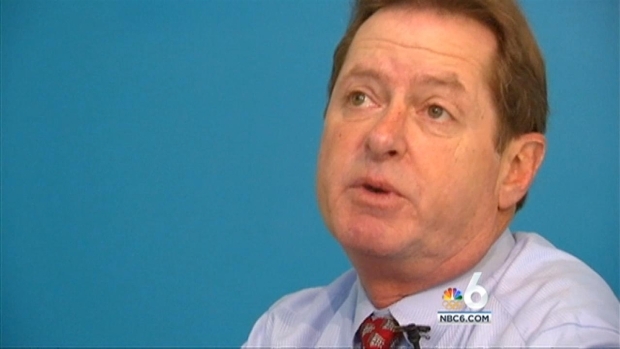 NBC 6's Hank Tester has the story. "I believe here in Florida we need to start providing medicine for people and what I really wanna do is just help," Gomez said. Calkin is optimistic Florida will vote "yes" for medical marijuana, but if by chance the answer is "no", he says his seminar is still beneficial. "Eventually the state is going to pass a medical marihuana program. So if it's not this time,it'll be next time, and if you don't like how things are being done here in Florida well at least you have the information now to go somewhere else or know what your options are," Calkin said.